As it stands, aquatic drones like BIKI are cool but they remain a category with plenty of problems to solve before they can be easily recommended to the mass market. One of small, elegant and vital pillars that underpin the appeal of consumer-grade drones is that they can go where you can’t. However, one environ that’s remained outside the grasp of drones until very recently has been water. There are two details to note here. The first is that waterproofing tech is actually quite difficult to pull off. Even IP-ratings like those found on the Samsung Galaxy Note 8 have their limits. The second thing to remember is that water naturally tends to soak up, absorb and reflect radio signals like Wi-Fi and Bluetooth really, really easily. To summarize things: making a drone that underwater is way more difficult than it sounds. 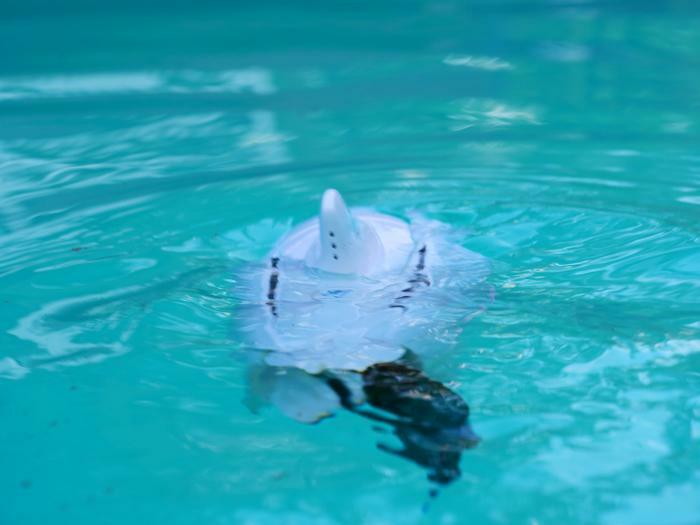 Still, despite these obstacles, the concept of an aquatic drone is appealing enough that more than a few tech companies are willing to give it a go. 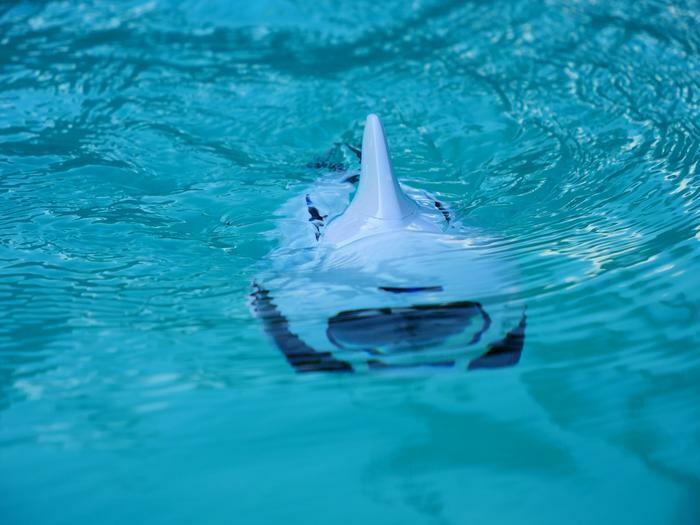 Robosea’s BIKI is pitching itself as the world’s first bionic wireless underwater drone. As alluded to above, there are actually a few similar products around but BIKI is still distinguished by its unique fish-like design and 4K-quality stabilized camera. Following a successful Kickstarter campaign that saw Robosea rake in over $220,000 in pre-order pledges, BIKI is finally here. However, while the finished product here isn’t quite a sinker - it doesn’t really live up to the high watermark expected of it either. BIKI is a wireless aquatic drone equipped with a camera boasting a wide 150-degree lens and built-in stabilization system. All told, the drone is capable of shooting photos and video in up to 4K quality. 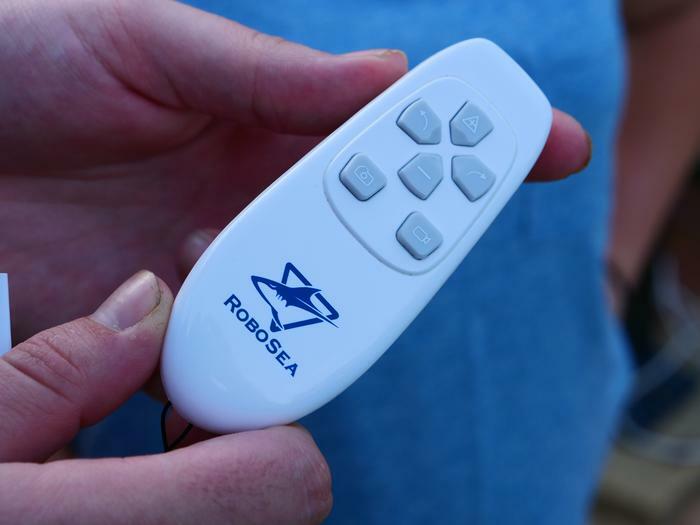 Both BIKI’s movement and photographic capabilities are controlled using either the bundled-in remote or a smartphone running the Robosea companion app. Both methods connect to the drone via Wi-Fi. 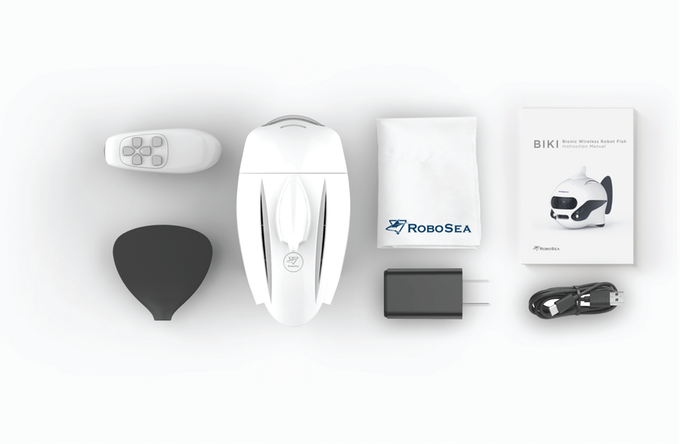 Robosea say that BIKI is good for between 90 and 120 minutes of use per charge and can swim at depths of up to 196 feet. It’s also packing 32GB of internal storage and two 114 lumen lights on the unit’s “face”. As you’d expect from something being bandied about as an aquatic drone, BIKI looks like a big, white robot fish. Admittedly, this a pretty simple look that Robosea have gone with but it works well here. There’s big dorsal fin on top, camera array and lights embedded on the front and a sweeping rubberized tailfin at the back. Size-wise, it’s relatively comparable to something like a full-frame camera or the recent DJI Spark drone - though it’s a little heavier than the latter. It’s got a denseness which, thankfully, doesn’t impact on the buoyancy of the thing. The remote control that comes bundled with BIKI fits nicely into the palm of your hand. The button layout is pretty intuitive and while the buttons themselves are a little lacking in feel-factor, they still feel moderately responsive. Likewise, the Robosea app is also reasonably well designed. Weighing in at about 20MB in size, it’s not a huge download but it does let you jump right into controlling and taking pictures with BIKI with minimal fuss. The fact that you can easily pull the photos off the drones’ internal storage to your phone was something I really liked here. In practice as well as theory, this inclusion makes for a big plus as it saves you the need to invest in an extra SD card. Out of the box, the setup for BIKI is actually blissfully simple. You just attach the rubber tail-fin, charge both the drone and remote up (via Micro USB charger), find a reasonably large body of water and you’ll be good to go. As mentioned before, BIKI supports two differing control methods. You can either use the remote control or your phone. Opting for the former, all you need to do is hold down a button and the remote and drone should get on the same page. This syncing process usually only takes a second or two. Alternatively, if you want to use your phone, it takes slightly longer. You have to load up the app. Put BIKI into Wi-Fi mode. Connect to the drone via Wi-Fi and then directly connect to the camera on it using the app. Once that’s done, you’re pulled straight into a BIKI-eye’s perspective on things and can view a live-feed everything seen through the drone’s main camera. From there, you can either directly control the drone using a digital joystick or by drawing out a route for the drone to follow on a grid. Unfortunately, for better or worse, Robosea’s faithfulness to the iFish aesthetic means that controlling BIKI - using either of these navigation systems - just doesn’t feel very responsive. There’s always a noticeable delay when using either the on-screen joystick or the remote and with no front or side-fins to speak of, turning corners with BIKI quickly becomes of a chore. By comparison, the route drawing navigation system on the app works a bit better. However, relying on that system actually takes a bunch of vital control systems away from you. Once BIKI embarks on a route, you can’t use the camera, nor can you pause or modify that journey until it plays itself out. Adding to these problems, the drone still ended up bumping into objects and the edges of the pool with frustrating frequency. 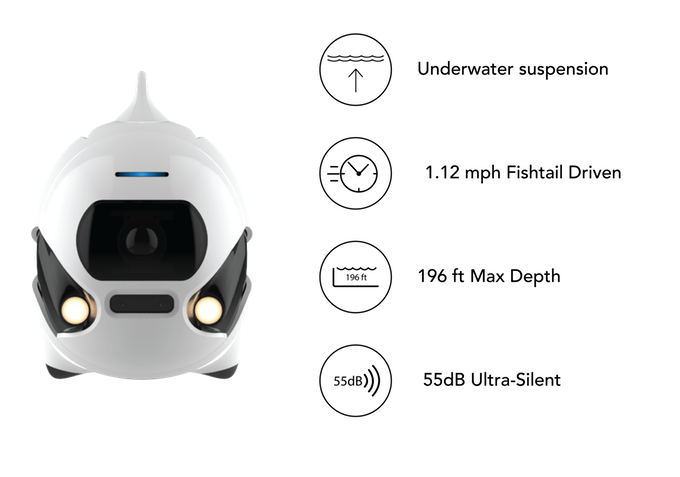 Robosea say that BIKI possesses a form of automated object detection. However, in our experience using him in a medium-sized pool, this dash of smarts didn’t seem to make that much of a difference in our experience. Still, once you’ve got the drone in the right place, taking photos and video with BIKI is as straightforward as these things get. That said, in order to take any footage worth keeping, you’ll want to be using the app as your primary controller. In practice, this experience feels pretty close to using the camera app on your phone. However, the natural restlessness of water means that lining up the right shot can sometimes be a bit of a pain. Unfortunately, all the experiences described above - both good and bad - come with a very significant caveat. Even during pretty basic use, BIKI proved exceptionally finicky when it came to maintaining a stable connection with the controller. We could barely use it with the bundled controller for more than thirty seconds before we’d encountered a drop-out and had to manually repair the connection between the two. Using our smartphone, we didn’t encounter any total dropouts but occasionally would receive notifications warning us about the low-level of signal strength between the drone and the app. Yes, BIKI did work most of the time. However, these dropouts and warnings took place when the drone was barely five meters away in an otherwise still body of water. Combined with the general frustration of directly controlling the iFish, these experiences left us pretty dubious about the idea of using BIKI in a river or ocean. 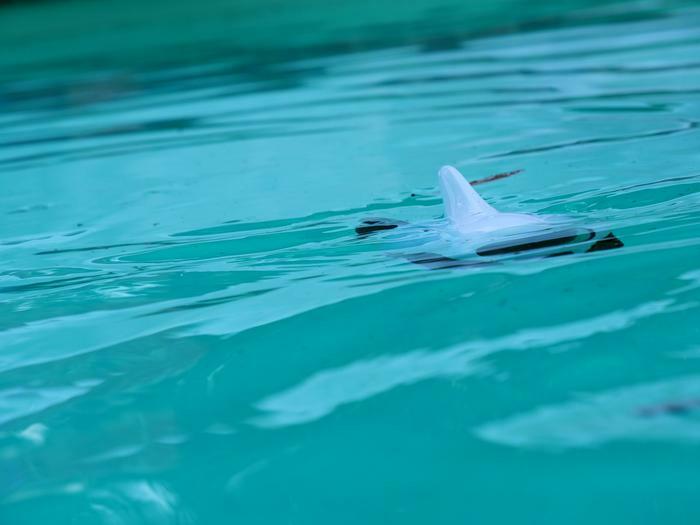 Sure, the tail-fin on the drone does have a bit of a kick to it but it feels like the mechanical fish would struggle to overcome any sort of rip-tide or current. More to the point: it feels like something that you’re practically asking to have taken from you by the tides. Despite BIKI’s definite shortcomings, it’s clear that the category still has a lot to offer. However, it’s equally clear that it’s very much still early-days for aquatic drones. While the 4K camera and solid app-integration means that BIKI is a strong-frontrunner for this fledgling category, connectivity problems hold the drone back from all the potential that an initial skimming of its spec-sheet inspires.